The Torah tells us that Sukkot is celebrated for 7 days and then there is a mysterious Holy Convocation on the 8th Day that stands on its own and is not officially part of Sukkot. During the 8th Day we do not sit in booths anymore! It is now tradition among the Jewish People to celebrate the Feast of Simcha Torah (rejoicing over the Torah) on the evening after the 8th Day. 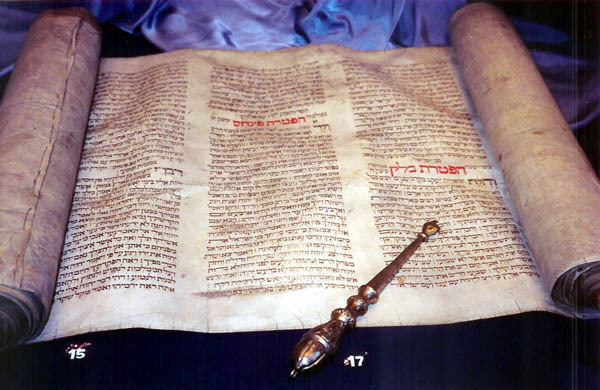 Originally Simcha Torah was celebrated at the same time of Shmini Atseret. It is the time of restarting the Annual Torah reading Cycle from Bereshi (genesis). 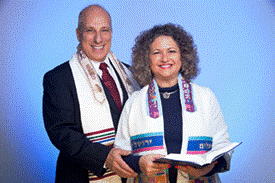 This celebration is marked with great joy and dancing around the Torah. It reminds us of the celebrations during Brit Mila (Covenant of Circumcision) and Bar Mitsvah. We believe that the reason that we rejoice over the Torah on the 8th Day is because the Living Torah Yeshua HaMashiach was circumcised on that day. Born in Sukkot and circumcised 8 days later entering into the Eternal Abrahamic Covenant! It is a sobering thought that a Circumcised Jew is the only one that can open the Book of Judgment! This feast marks the real time of birth of Messiah and is also a prophetic representation of the Marriage Supper of the Lamb! It is the most joyous of feasts and all nations are commanded to celebrate it in the millennium lest a curse would befall them! This Scripture pertains to both the Bride of Messiah and to Israel when she turns back to Y’shua as a nation! Y’shua is inviting His entire Body to come into the Fall Feasts. To turn from, compromise, lukewarm ness, pride and ungodliness and to become Pure and Holy! The shofars are already blowing to call the Bride to come home, to the original Apostolic, Jewish Foundations of the Faith! A joyous Sukkot and Simcha Torah celebrations to all those who love Messiah and Israel. We invite you to celebrate Sukkot 2013 with us in Israel next year! Leshana Habaa BYerushalayim. Next year in Jerusalem! Yeshua is the Living Torah and we invite you to celebrate Him this Feast! Please pray for ALL Israel to get to know the Living Torah- Yeshua HaMashiach! True, these are places in a world of falsehood. If the world only had a little more light, none of this would be necessary. But the soul that knows its place knows that the great and lofty G‑d is not found at the summit of mountains, but in the simple act of lending a hand or a comforting word in a world of falsehood and delusions. Warning: The world is ending and the Messiah is coming! On one of Israel’s largest websites Ynet a yellow banner with large letters appeared on Saturday proclaiming the coming of the Messiah. “The Messiah is in Israel. This will be the last government of Israel.” A click on the banner leads directly to the website 871. Here, the religious creators of the site warn about the end of the world. “The next leader will be the Messiah Ben David. The situation in the country is getting worse and the government will become more incapable. Only the Messiah can save Israel during the war of Gog and Magog. In the near future the world will witness terrible disasters, like earthquakes and tsunamis. Cities in Europe and the United States will disappear in the sea. The world’s financial system will collapse and God will destroy the Mammon (Yiddish slang for “money”). Anti-Semitism in the world will get worse, just like on the eve of World War II. For every inch of land that the government abandons the people of Israel will be punished for, because this is a rebellion against God. Solely because the two-state solution was discussed in Israel we must pay a high price. This land was promised to the people of Israel for eternity and who negotiates about the God-given land will not experience the redemption.” The ones behind the website, who regularly publish warning signals in the Israel network, are unknown. The majority of Israel’s society does not take such websites seriously, but still they appear on Israel’s largest Internet portals, such as Ynet. Those attending included Netanyahu’s wife and two sons along with 16 rabbis, academics, Bible scholars and archeologists. The subject was the Book of Ruth. Rabbi Yehuda Ben-Yishai, whose daughter Ruth was killed with her husband and three children in a Palestinian terrorist attack in the settlement of Itamar last year, said the Bible helps us find “the light” in the darkest situations. “We came out of it all right,” he said, referring to the attack. Though Israel is a secular democracy, it is founded on biblical principles such as the ingathering of the exiles, Jerusalemas the Holy City, the inheritance of the Promised Land, and ethics such as mercy and the love of one’s neighbor. The Bible provides Israel and the Jewish people with their national and spiritual identity and lays the foundation of their mission to be “a light to the nations” (Isaiah 49:6). 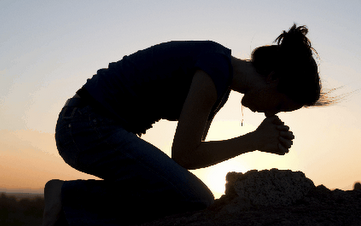 URGENT CALL TO PRAY FOR SOUTHERN ISRAEL, THE NEGUEV, ASHKELON, SDEROT, BEER SHEVAT AND EILAT! Once again this past week a threatening rain of lethal missiles began falling on Sderot and other vulnerable southern Israeli communities, following deadly terrorist attacks along the Sinai and Neguev borders. Since Monday, over 120 missiles have been launched into Israel, with more than 70 fired on Wednesday alone! Many residing here in this war-front city must once again suffer the trauma of unexpected attacks, since, as yet, ‘The Iron-Dome’ defense system is technically inadequate to prevent each and every missile from landing somewhere near the communities which are so close to the rocket launching source. Armed only with “blind faith’, these beleaguered people are again faced with the opening of wounds buried not so long ago following the hundreds of past missile attacks from which they have scarcely recovered. Upon hearing the loud blare of the incoming-rocket siren or ‘red alert’ the question immediately rises, “Where is the nearest shelter…and can I possibly make it in 15 short seconds, especially, running with small children”? This is the painful reality thousands of Israelis must now live through. On top of all this, it has just been announced that the Muslim Brotherhood has won the national elections in Egypt. Hamas, which governs Gaza, is an ideological offshoot of the Muslim Brotherhood and Hamas terrorists have been firing celebratory shots in Gaza! Please declare Psalm 91 over all of Israel and pray for a speedy recovery for all the traumatized. Ashkelon Councilor Shimon Cohen told Arutz Sheva Friday that the decision to shut down all educational facilities in the city was the responsible one to make.